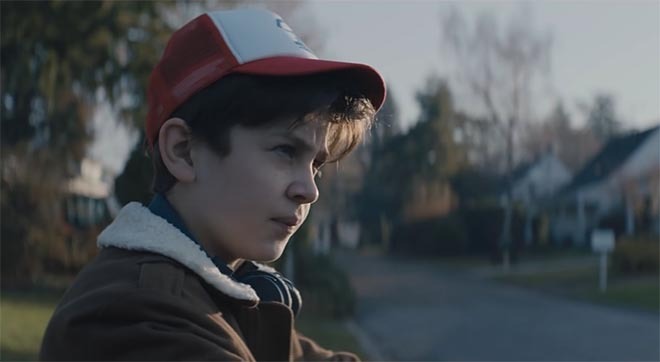 Mercedes-Benz France is promoting the Mercedes Me services with “La Rencontre”, (The Encounter), a commercial featuring a group of children fascinated by their neighbour’s new Mercedes E Class wagon and its remote autopilot feature. First one, then two, four, five, nine, children gather on their bicycles to watch the Mercedes driver arrive home. Music used in the commercial evokes the mood of science fiction and fantasy movies such as E.T. and television series such as Stranger Things. The Mercedes Encounter campaign was developed at CLM BBDO, Paris, by chief executive officer Séverine Autret, executive creative directors Matthieu Elkaim and Julien Benmoussa (Proximity), creatives Clément Dantzer and Benoit Lagalle, strategist Lois Mercier, strategic planner Nicolas Orsoni, account managers Paul Johanet and Charlotte Montrichard, project manager Sandra Sancho, community manager Christophe Werbrouck, production manager Julien Sanson and producer Stéphane Floch, working with Mercedes Benz marketing director Stéphane Boutier and marketing department director Béatrice Tanguy. Filming was shot by director Matthieu Mantovani, with director of photography Martial Schmeltz, producer Martine Ferey, stylist Isabelle Bardot, editor Damien Dupoux and motion designer Jeremy Delhuvenne. Sound and music were produced at Spock Productions.